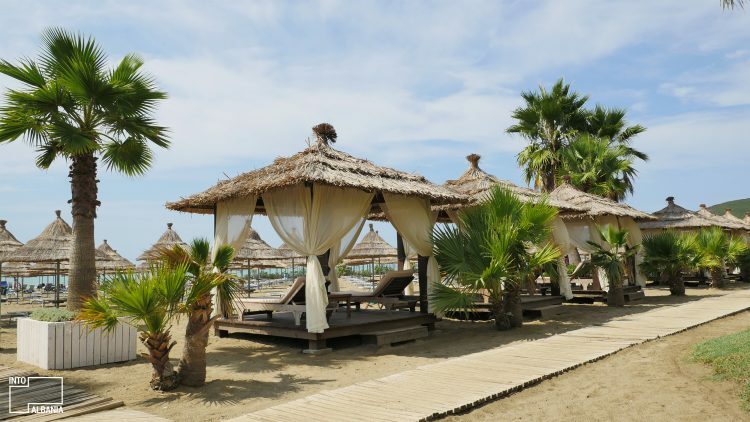 The soft sand of Durrës, which stays warm from May to September, the buzzing atmosphere of this major seaside town, and its close vicinity to the capital, make the beautiful beaches of this seaside town the most popular weekend destinations, year-round. The beaches of Durrës are especially nostalgic for the local population as they were historically the most frequented by families and, while the nostalgic air still lingers, the town has become a veritable modern international touristic attraction. With lots to do and only one hour away from Tirana, you will enjoy your time here. 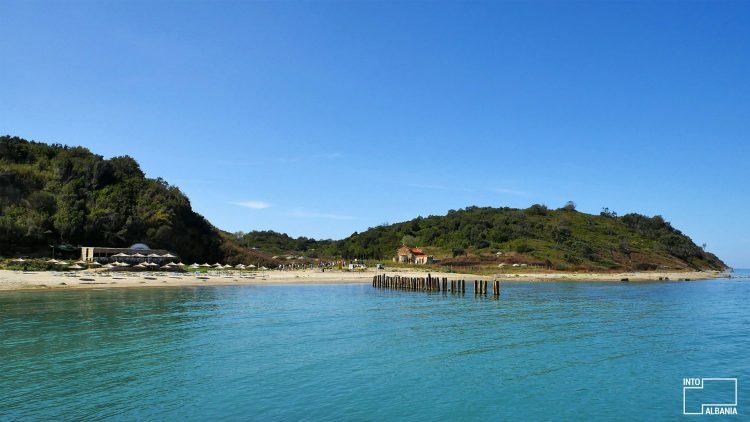 30 km north of Durrës, hiding behind beautiful tall trees and the songs of the cicadas, the Lalzi Bay Beach is perhaps the most popular and populated beach along the long Adriatic coast. The beach retains very high standards and has become a social hotspot for locals and tourists. It extends from St. Peter (Shën Pjetër) towards Rrushkull and offers spectacular views of the tree-lined cliffs behind as well as the beautiful Adriatic Sea. Its many recreational facilities keep the people busy playing beach volley and all kinds of other sports. In the hot summer months, in particular, the bars and restaurants are packed! Click here, for the map. Located only a few kilometers from Tirana, the Cape of Rodon is a destination whose popularity has risen exponentially among tourists in the last few years. This narrow strip of land, in the shape of a peninsula, extends along the Adriatic and offers not only beautiful views but several crucial historical and cultural monuments. Many tourists choose to visit the Cape of Rodon during the spring season as it is shrouded in a beautiful cornucopia of flowers (click here for the video) while in the summer, they choose it to enjoy the beautiful virgin beaches and fine-grained sand. (For more on this site read our article here). 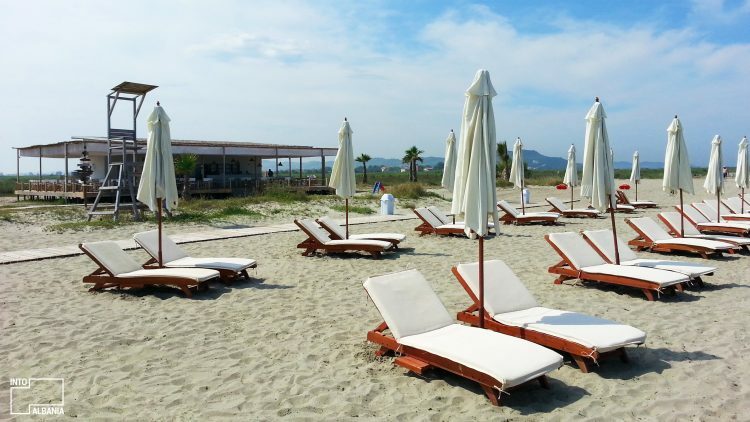 Located one after the other, these two are definitely among the most well-known beaches in Durrës. Their proximity to the city makes them favorite spots for tourists and locals alike. The Currila Beach (currila in Albanian means “stream”) is more populated and lively while the beach of Kallm is preferred by families for its quiet atmosphere and the relatively shallow water depth. For the map, click here. Kavaja’s Cliff marks the beginning of Kavaja’s coastline which includes some of the country’s most frequented beaches. They are especially popular due to their large sandy areas, the relatively shallow waters as well as the presence of many hotels and the countless entertainment activities they offer. This one is a family favorite! For the map, click here. This beach is an extension of the Beach of Golem and is well-known for its modern resorts and numerous holiday homes, whose price ranges is fairly reasonable. Numerous pines grant a rather intimate vibe to the area and the serve to keep it cool even during the hottest days. Thanks to its pristine beaches, this part of the Adriatic coast is the ideal spot for those people who like a more tranquil beach experience, away from any noise or masses of people and very close to nature. This is one of the few rugged yet calm beaches in this area, where you will also find the Gulf of Carina or the beaches of Cape of Lagji, with a sandy shore that is completely untouched. Click here for the map. As its name suggests, this is a beach that commands your attention! 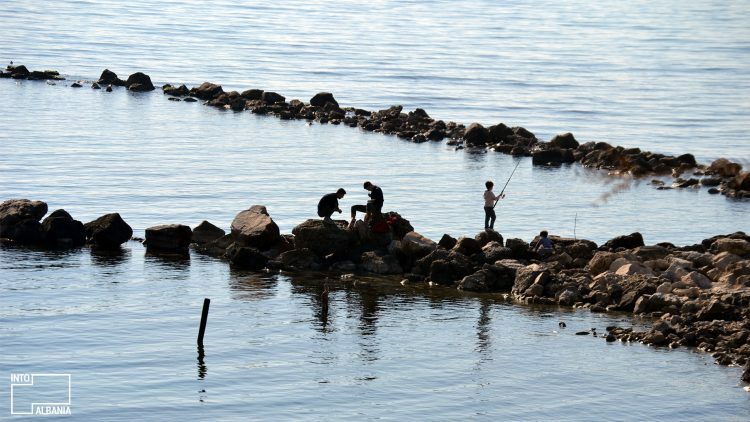 Located between Karpen and Spille, the General’s Beach is named after the WWII Italian general who first discovered it. Its brisk, crystal clear water is of the most beautiful shade of blue-turquoise in the entire Adriatic coast. The place is quiet and fairly intimate with only a few modern touristic complexes and camping sites. Click here for the map. If you find yourself in Spille, you should make a quick stop at the 15th century Castle of Bashtova nearby. Click here for the map.